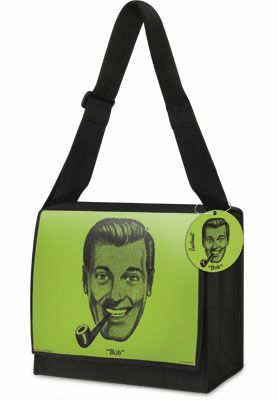 This bag features J.R. Bob Dobbs the legendary king of slack and face of the Church of the Subgenius. Made of thick faux canvas and has an adjustable nylon strap. Comes with illustrated tag.